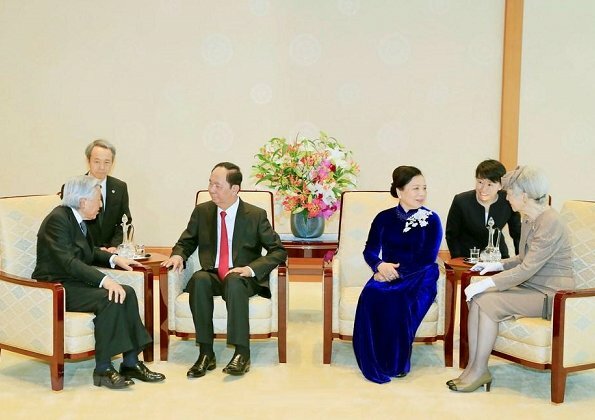 Vietnamese President Tran Dai Quang and his wife Nguyen Thi Hien came to Japan for a three 5-day official visit. 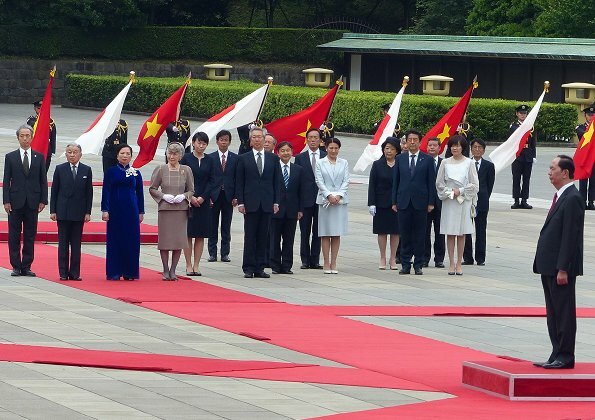 On May 30, 2018, Emperor Akihito, Empress Michiko, Crown Prince Naruhito and Crown Princess Masako welcomed President Tran Dai Quang and his wife Nguyen Thi Hien with an official ceremony at the Imperial Palace in Tokyo. 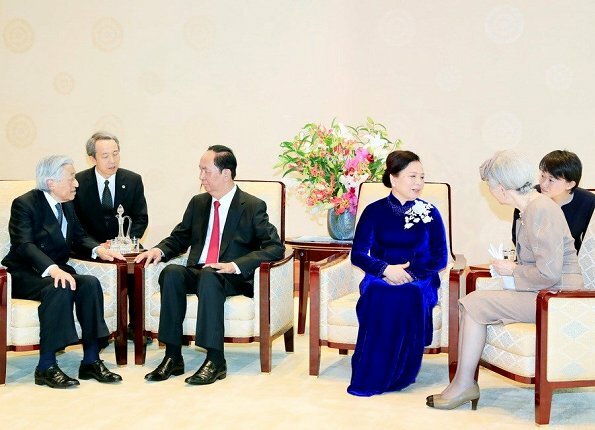 In the evening, the Emperor and Empress of Japan held a banquet at Imperial Palace in honour of President Tran Dai Quang and his spouse. All the ladies are beautifully dressed! 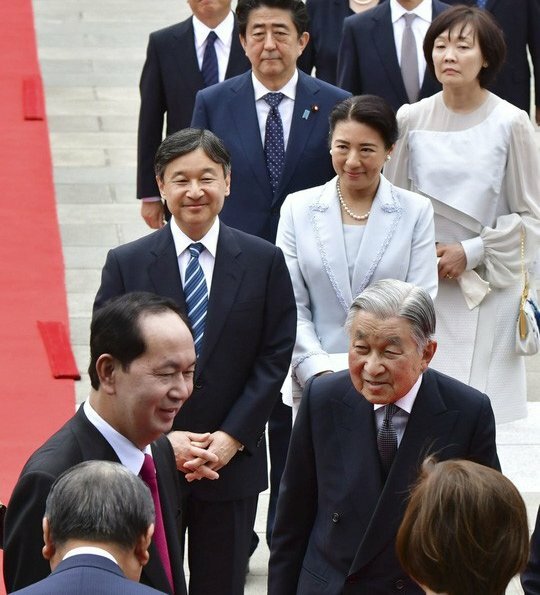 I do not think the way Princess Masako's hair is parted suits her, but I give her lots of credit for trying a different look. She is a very attractive lady, regardless. 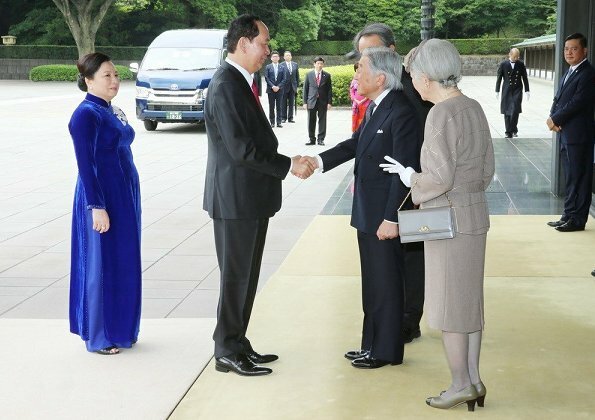 I love the soft, subtle colors that are part of Empress Michiko's signature style. 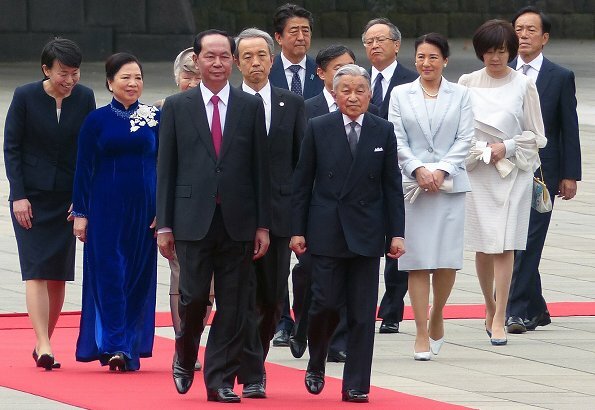 Empress Michiko wears as usual her trusty shoes. Se manages to build her look around those shoes and always successfully. Every one looks very nice. 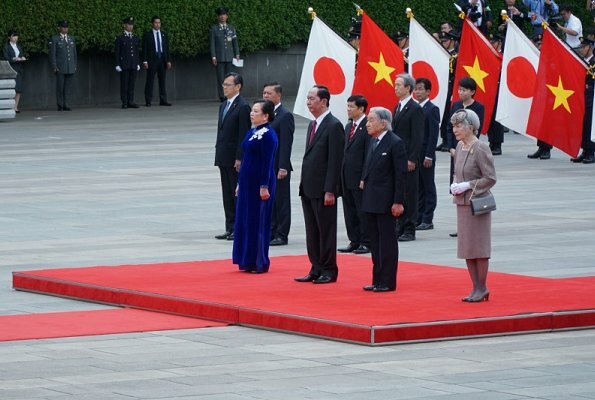 The Empress never disappoint, she is always in style. 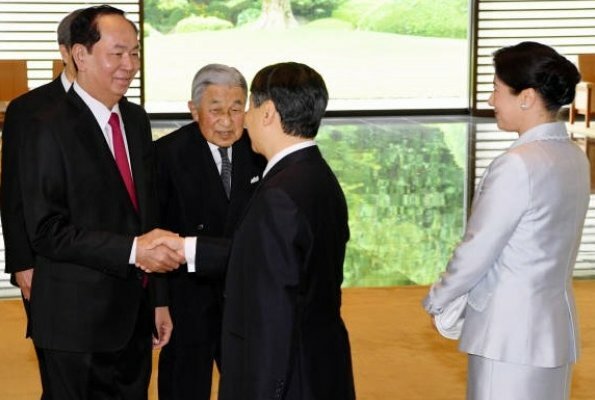 CP Masako wears a beautiful tan or light gray suit,she looks wonderful also the Lady from Vietnam.Masakos smile is always a little shy. Next year she'll be Emperess,I hope she is allowed to flourish. 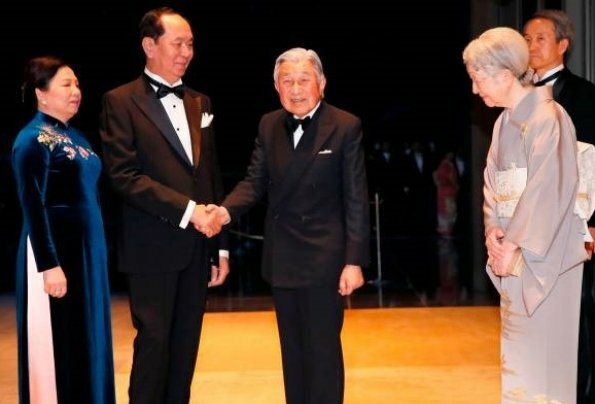 It is very wonderful to see Emperor Akihito, Empress Michiko, Prince Naruhito and Princess Masako of Japan all together.